From humble Atari gaming in Guatemala to owning the friendly-neighborhood video game shop down the block, Chris and his business partner Mauricio explain how their passion for gaming has created an environment for LA County gamers to enjoy. As I was passing by Gage Ave. in Bell California in a typical day, I noticed with nostalgic glee a shop stocked with Super Nintendo, Sega Genesis, Nintendo 64, and Gameboy Advanced games. It had new games as well. I was very happy that such a shop was so close to home, but was quickly saddened when I noticed that it was closed, and that there was a “For Lease” sign displayed. All I could do at the time was peer through the window, like a kid looking in at a candy shop. I thought that it had gone out of business, but fortunately, the opposite is true: they are just getting started. I passed by the shop a different day when it was open, and happily entered the business to have a closer look at the games and to introduce myself to the shopkeepers. 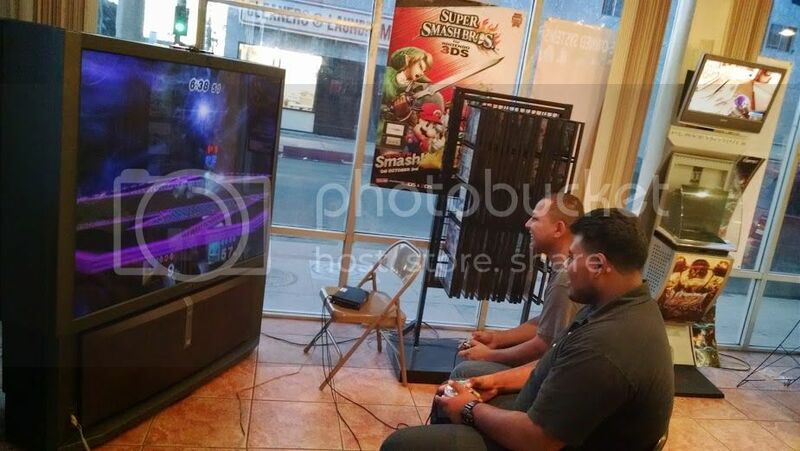 Mauricio and Chris, the ones who run Gamesanytime, have been kind enough to give me an interview to discuss how their business is going to make gaming a community event. How did you become interested in video games and how did that translate into transforming that passion into a business? Chris: I come from Guatemala, and it was there that I had my first experiences in gaming. I played the Atari, but it was a console that I didn’t own and was only allowed to play occasionally. The original Nintendo Entertainment System was the first console I owned. I have loved gaming ever since, and even into my adulthood as an immigrant in the United States, the passion hasn’t waned. I took the opportunity to own my own shop when I saw it, and I love what I do. 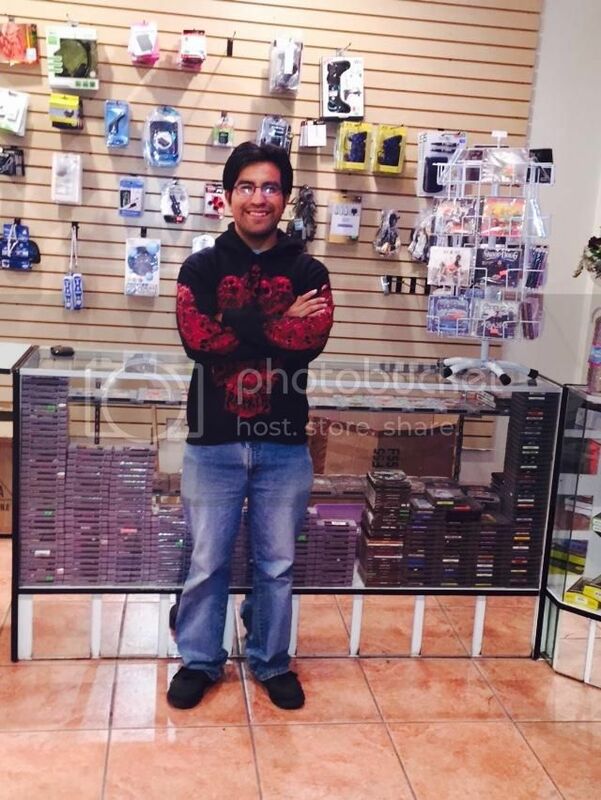 Mauricio: As for me, I had my first experience in gaming with the Super Nintendo. My family members would let me play it, even though I was four. I’m pretty sure the controller wasn’t even connected to the console, but I didn’t mind, I felt great. Now I’m here playing Halo in the X-Box One, and I love it. How receptive is the Latino community to your business? Mauricio: Most of our clientele is Hispanic, but we also have Arabic and White customers. The average age for people interested in games is around 18-25, but older people, from 32-40, come here for the movies. I believe that the diversity of our clients is due to the fact that people come from all over see the old games that are so hard to find nowadays. When he mentioned the movies, I remembered seeing in their movie collection a DVD of the classic Legend of Zelda cartoons on sale for about ten dollars. I was very happy that such movies were available so close to my home. I moved on to the next question. What obstacles did you have in putting such a collection of new and old games together, and how did you overcome those obstacles? Chris: When it comes to collecting the old games, it was really hard for me when I barely started: I had to go to swapmeets and search for games to resell. Over time, customers would sell me their old games. It’s really hard to collect old games, but as for the new ones, they are very easy to get. Most of the old games we have are playable. We clean the cartridges with alcohol and wipes. Very rarely do customers return games. Even though getting an orginal console is hard these days, there are new alternatives that play old Super Nintendo and Sega Genesis games. FC Twin and Retron 2 are some examples. I encourage people to purchase old games. Which are games are more popular? The old stuff or the new stuff? I notice that you have classic arcades and consoles for customers to use, are they free? Chris: Yes they are. The arcade will charge 50 cents in the future, but the consoles are free for the customers and visitors to try and use always. What type of events do you have in the store? I hope you decide to stop by their store someday. Since I will be a regular there, you might run into me also. Readers are always welcome to share their two cents.